When it comes to food, Thanksgiving is all about the turkey. 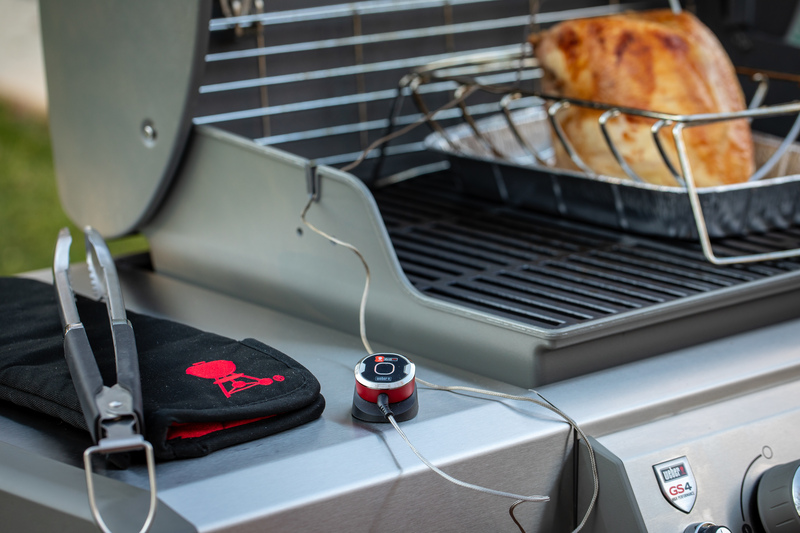 Unfortunately, for as much as I love to grill a whole turkey, available time and more importantly, the number of eaters, require a different plan. Enter, the turkey breast. A turkey breast is literally the turkey without the wings, thighs, and legs, as found on an unbutchered turkey. At 5 to 6 pounds, it’s anywhere from one half to one third the size of a full-size bird. 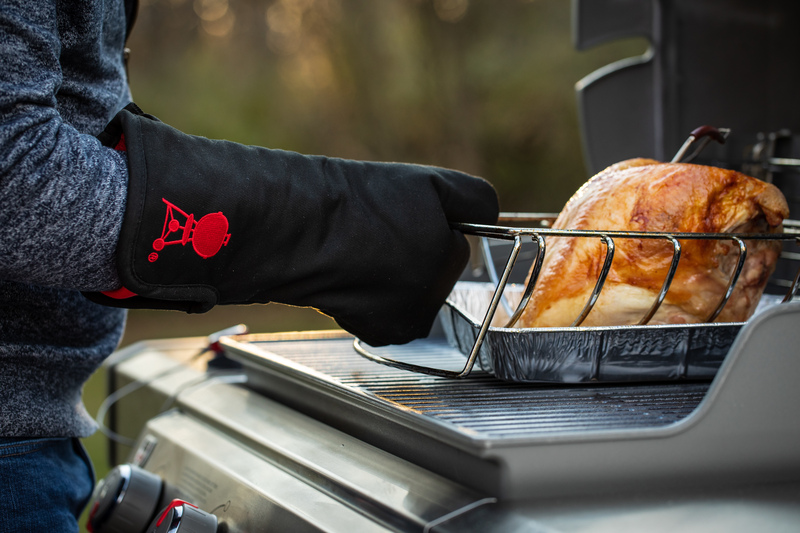 The smaller size means faster grilling, and when only looking to feast with 4 to 6 people, it’s the perfect portion. Some may argue, like uh, me, that the white breast meat is not as flavorful as the darker meat found in the thighs and legs. While this may seem like a trade-off, there is an easy process to pack more flavor into the breast meat: a brine. 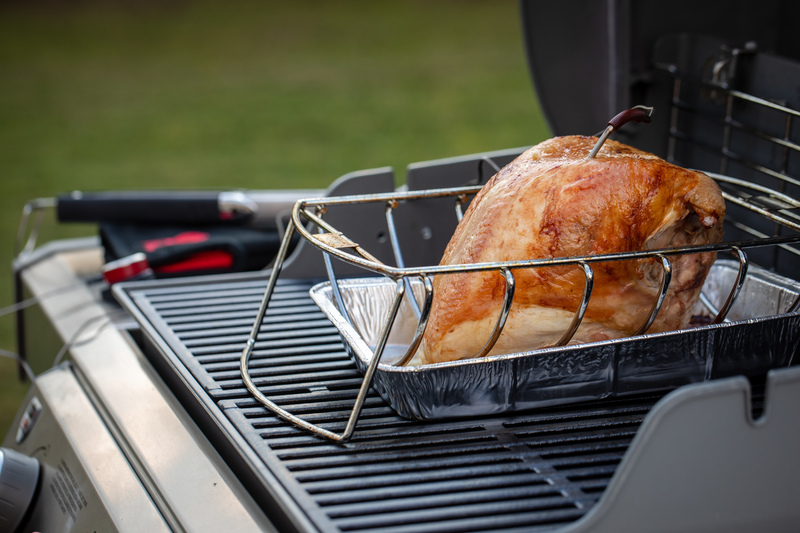 By soaking the turkey breast in a saltwater solution, we can increase the moisture and flavor found in the meat as the brine allows the turkey to retain water during grilling. Our turkey just got better. Speaking of brines, here is a fantastic recipe by Jamie Purviance. Chock full of aromatics, this brine produces exceptional flavor possibly making the turkey breast your new go-to Thanksgiving feast. 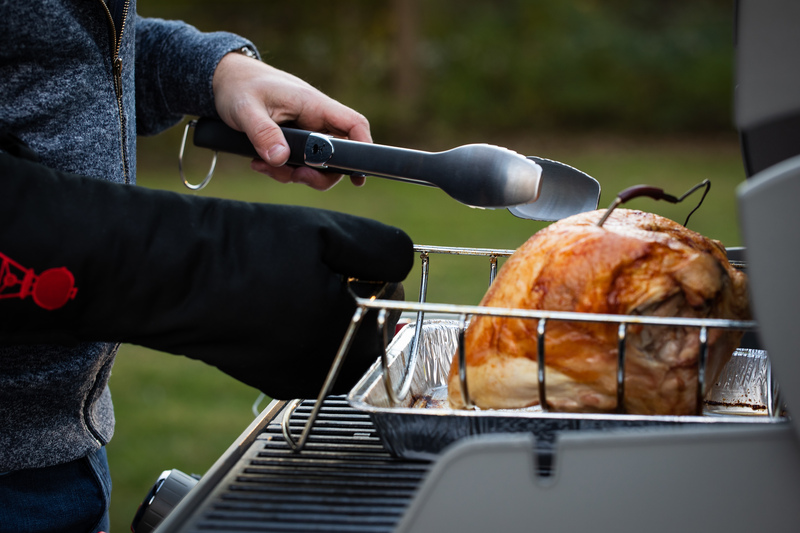 Turn and move the turkey, or even rearrange charcoal with the greatest of ease with these tongs. Protect your hands and look like a pro doing so. The two-in-one design of the Premium Barbecue Rack holds multiple slabs of ribs to increase space on your cooking grates, and can also be used as a sturdy cradle for juicy roasts. Help! I Have A Turkey Emergency!